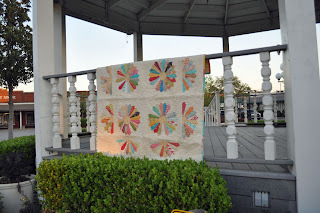 You may have seen one of the latest projects on the Moda Bake Shop by Tilly and Susan of the The Quilt Asylum in McKinney, Texas. 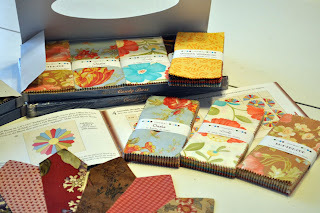 I was going to do a post but she did such a fantastic job I am going to link there for the how to section of my post. in two varieties, both are equally tasty. 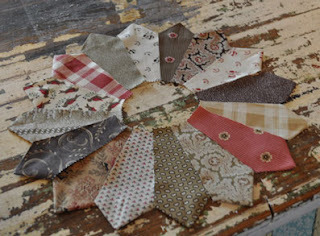 The instructions to make a dresden plate using the same technique that the Quilt Asylum featured is included in the Moda bale Shop box. 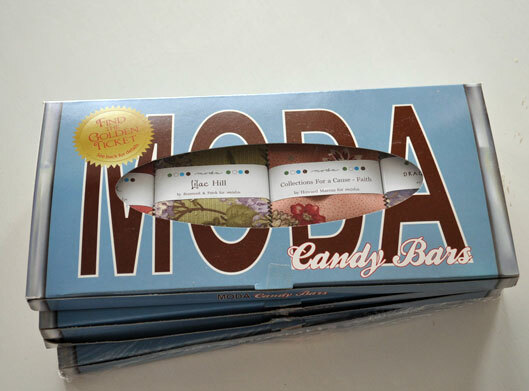 4 sets of “Candy Bars” measuring 2.5″ x 5″ are included in each box. Add your favorite background, center circle and binding to make a quilt all your own. Instructions for a tablerunner are also included. Of course I am kind of a fabric “collector” so I couldn’t resist and had to have one of both. Mixing the collections has been fun to see the different combinations. Here is a picture of the completed quilt using 1 candy bar box. But the SUPER DUPER GREATEST thing about the candy bar boxes is that there is a golden ticket hidden in 100 different boxes. Are you a fan of Willie Wonka and the Chocolate Factory? I watched that show so many times and wanted Charlie to find the golden ticket so bad! Charlie and his uncle were so excited when they finally found the ticket. Now I want YOU to find a golden ticket. Every golden ticket wins a gift bag full of moda products. That is SUPER! But the SUPER DUPER part is that each of the golden tickets will be entered in a drawing to come and visit the candyland we call Moda. We have had a few golden ticket winners but there are many more out there. NO GOLDEN TICKETS WERE FOUND DURING THE MAKING OF THIS POST. Re- Learning. Is that a word? I didn't know you could do that with one of those!!! I lvoe mixing fabric lines from time to time and your quilt looks wonderful. I would LOVE to come visit THE Moda and see all the happenings. Thanks for the opportunity! This certainly makes ME want to run out and buy a box of candy bars! I love the colors and the chance to visit Moda would be even better! I HAVE a box in my stash – and now I know what I'm going to do with it! Thanks bunches! These are too fun! 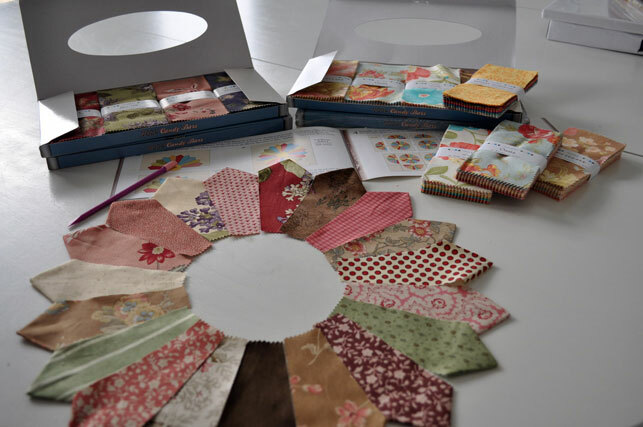 I just can't keep up with all these new ideas – so many projects, so little time! Would definitely love to find a golden ticket! The chance for a golden ticket so makes me want to buy, buy, buy these gorgeous lovelies 🙂 Lovely tutorial and thank you for sharing!! I definitely want a Candy Bar or two now. 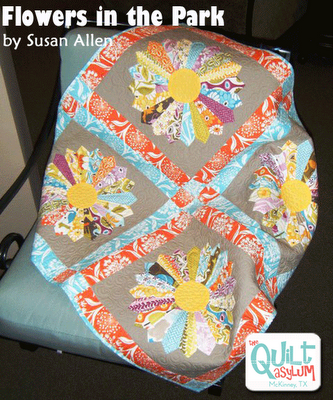 What a great tutorial and a beautiful quilt.